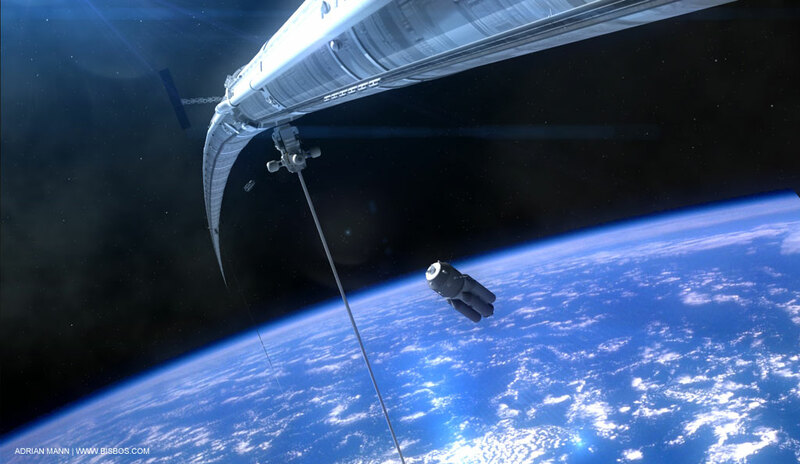 The Space Elevator is a great idea - a cable from a geostationary asteroid, making access to space much easier. 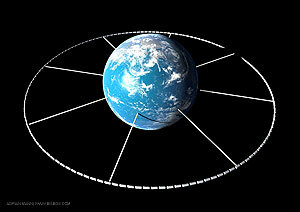 A related concept is the orbital ring - a structure at a much lower orbit, comprised of inflatable modules or cables, which is accelerated to keep the stations at fixed points above the Earths surface. Cables from the stations would connect them to Earth-based terminals. As early as the 1870's, the great inventor Nikola Tesla conceived of a solid ring built around the equator that would "float freely and could be arrested in its spinning motion by reactionary forces". This would create geostationary sites without the need to go out to 36,000km, as satellites must do in order to stay over a fixed position. 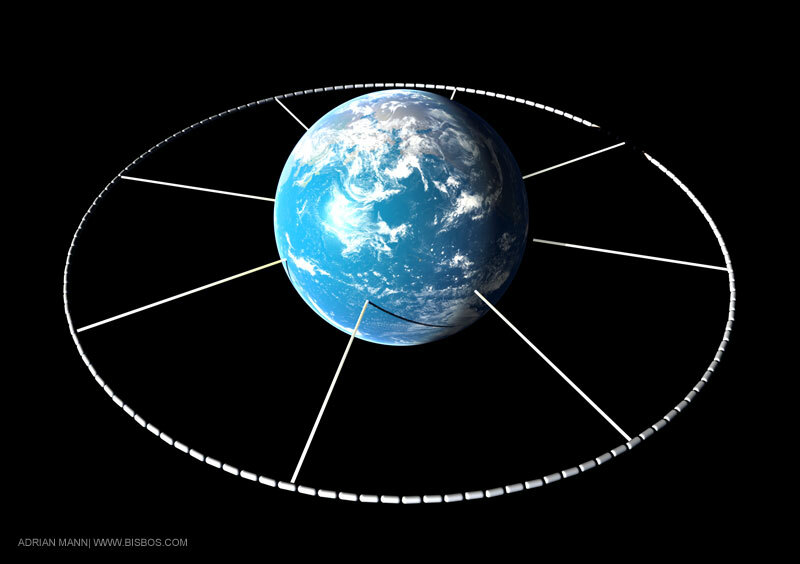 Similar rings could also be built around the Moon, Mars and other planets, making the colonisation of the solar system much more safe and efficient. Image appeared in Issue 7 of magazine "All About Space".